This highly successful series of books was originally launched in 2003 with the publication of the innovative Physics Companion. Each core topic in the physics curriculum was covered, deriving key concepts and equations in clear, one-page, figure-rich descriptions. Each subsection contained a summary of the main equations, together with a set of worked examples. This unique design quickly established The Physics Companion as an essential resource for undergraduate students throughout the course of their degree, acting both as study guide and revision aid. The Electronics Companion, The Mathematics Companion, The Materials Physics Companion, and The Chemistry Companion followed soon after, publishing in 2004, 2005, 2007, and 2011 respectively. Taking the same signature approach as The Physics Companion, these books used clear writing and a visual presentation to make the material suitable for students in any country, including those with English as a second language. 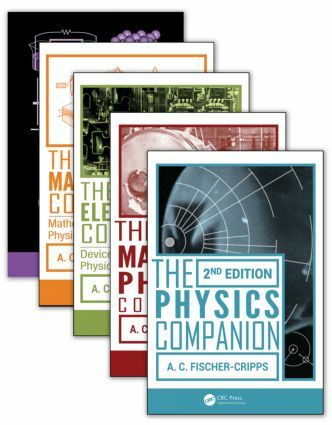 Fischer-Cripps has now extended the coverage of The Physics Companion, The Electronics Companion, The Mathematics Companion, and The Materials Physics Companion and updated them where necessary, building on the outstanding success of the first editions.